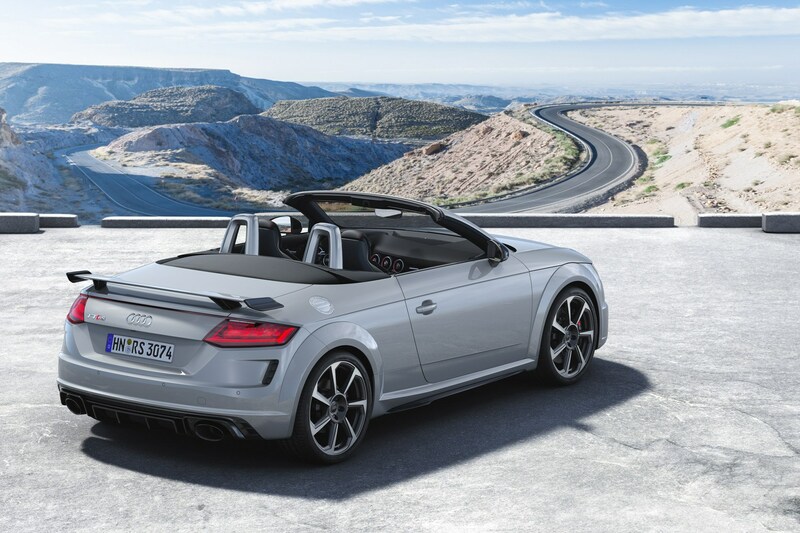 Audi has recently facelifted the TT, so it was inevitable the hottest one would get the same treatment. Not much has changed at first glance – this is definitely a light nip and tuck, rather than a major overhaul. Happily, the powertrain hasn’t changed. It’s still a peach of a five-cylinder: 2.5-litres, 395bhp, 354lb ft, a 0-62mph sprint in a supercar-rivalling 3.7 seconds and an optional top speed of 174mph. 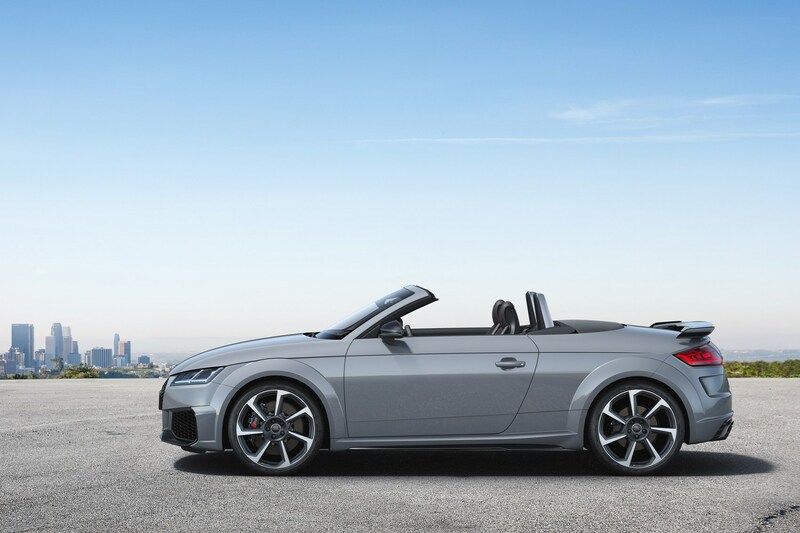 Power is sent to all four wheels by a seven-speed dual-clutch auto. Audi is also expanding the colour palette a little. Turbo Blue and Pulse Orange – also seen on the new A1 and Q3 – are among your choices of 400 different shades of silver, and red. Oh, and an RS-specific colour called Kyalami green. A few bonus personalisation details can be had inside, too, with the RS design package. Red or blue flashes of colour can be added to the air vents, seat belts and floor mats, with the ‘extended’ version including coloured inserts on the seats and centre console. 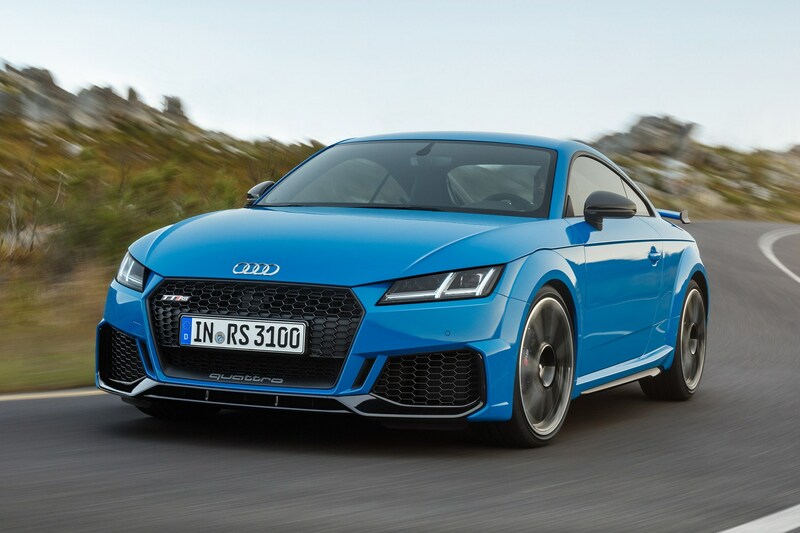 You can order your updated TT RS from April 2019.